We felt the difference immediately when riding the M1 this week -- as soon as we let off the throttle, the board kept coasting with no noticeable resistance from the motors or wheels. At $1,399 I don't think anyone will be doing grinds or kickflips. How does it perform on hills? have the juice for it. 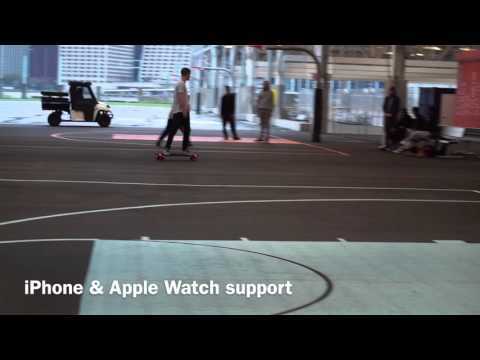 A 1400 dollar skateboard, that you can control from your 800 dollar phone or monitor with your 400 dollar watch. And the moment you hit an acorn you are laid out and have a broken phone. It's advertised to handle a 15% hill grade.